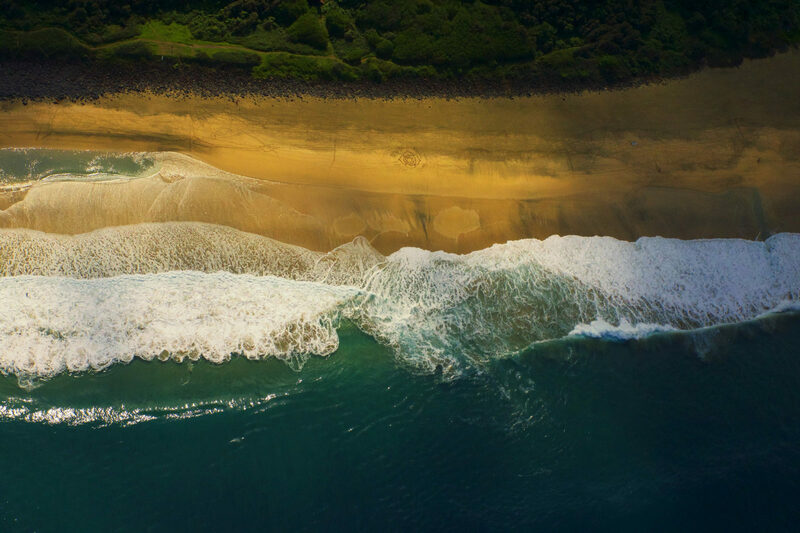 Taken from an open door helicopter above Na Pali coast. In the sand, someone has created a design including the words "I AM Health, Truth, and Love". Two people can be seen sitting on the beach to the left.